Hyundai Santro Xing Used Car in Chennai. 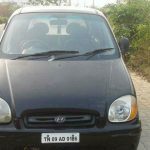 2003 model Petrol Hyundai Santro Xing used car for sale in Tambaram East Sri Ram Nagar, Chennai, Kanchipuram, Tamil Nadu, India. Santro Xing was manufactured on 2003 . 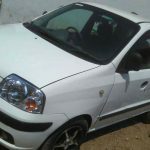 It is having a Single owner, Alloy wheel, power steering,AC. The Tyres are very good in condition. 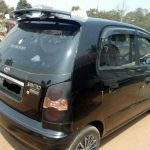 This Hyundai Santro Xing second hand car is listed in the following listing pages. Liked this ad? help others to reach this page by sharing this Hyundai Santro Xing used car ad on social media. Maximum Social Media Share = Quick Sale. So ask your friends to share this page.